"Sammy! That black waistcoat was a stunning one mate, how much did it cost?" - the meddlesome young intern catechized. "I saw a white one as well....did you check out Mr. Kapoor's outfit last night? "- I tried to avoid the question. "Yes, I did...but the smooth velvety touch amalgamated with the aristocratic black shade stole the show. Well done..." - He continued- "I always had this 'thing' for the darker shades, especially black; it's a mark of sophistication." The conversation was gradually turning out to be a fascistic one. The trainee was presumably trying to impress me. "So you didn't check out on the ladies eh?" - I chortled, trying to divert his focus..."I hope that the trajectory of your vision didn't get dispersed in the black hole ;)"
"Okay. Since you seem to be a black-shade-connoisseur, let me show you something. It's intriguing and 'cryptic' to say the least. And of course, it is associated with the color black, let's see if you could put these disjointed puzzles in order"- I alleged. This was my best chance to hit 2 targets at the same time ~ 1. To strategically 'gag' this voluble fellow 2. To test his wit in order to verify my own speculation skills. "Ok Boss! Anything for the 'black beauty'"- He acknowledged- "But the only condition is...I need a leave on the Black Friday, that's next week :D"....Gah! He's quite a manipulative chap. "Haha, sure...provided you crack the clues and most importantly, hit the target...."- I resolved. It, sure, promised to be quite an impelling trial...a bit melodramatic as well. "Alright so here's your first clue....the 'swanky' black egg, I hope you are not a veggie after-all" - I decided to throw the "egg" straight on to his court, his response was eagerly awaited. "I'm afraid, I'm"- He looked rather disappointed, perhaps the mystery was embedded in the yoke? "Relax! Take a look at the picture carefully. 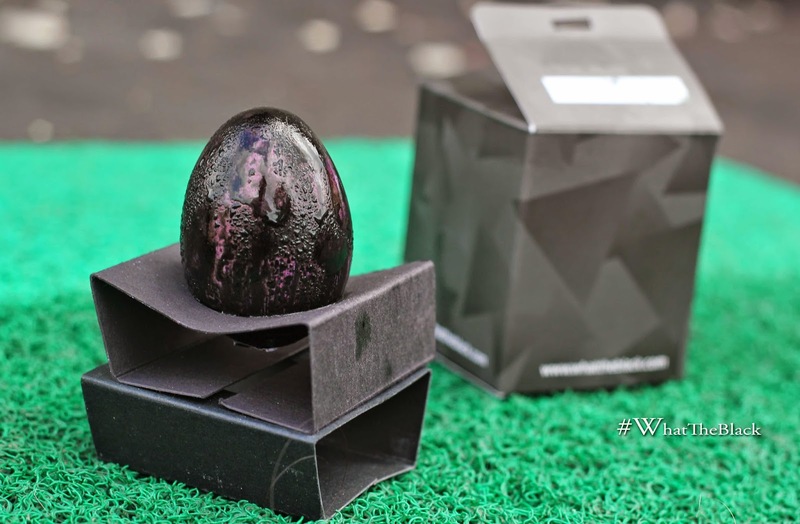 The 'charcoal-painted' egg, on exposure to heat, has melted down into a luscious piece of chocolate, that too purple in color" - I explained casually. "Oh Okay! I was pretty frazzled eh! But then...a piece of chocolate craved in form of an egg doesn't really unmask the hidden riddle, it has a sweet-touch to it nevertheless" - He vindicated..."By the way, mind sharing a bite? "- He looked hopeful on this one. "Provided you find a way through the maze. The grimy Black Maze that is" -I giggled as I presented to him the next clue in turn. "Alright! Time for the second clue...but before that tell me...do you read the newspaper daily? "- I sedately interrogated. "I certainly do....sometimes in the online and sometimes in the offline mode. Buy why? "- He looked rather curious. "Well then, I might just test your observation skills for this one. 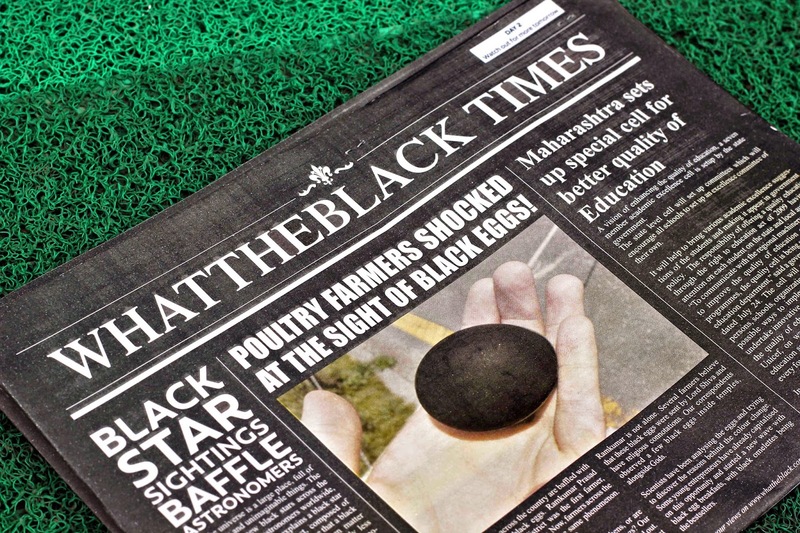 There's certainly a prominent cue in there"- I announced as the black 'What The Black Times' newspaper was displayed. Yes, you guessed it right, the black newspaper is the second the hint, following the chocolate. "Haha! Hilarious...the Cricket board introduces black balls, this sure is 'shrewd'. I guess they were planning for the pink kookaburra a few years back isn't it? And the black star in the galaxy? ROFL! Super comical" - This guy was quite a cricket fanatic, but then he was pretty much focusing on the irrelevant details. But, then, you never know what's cooking inside his mind. 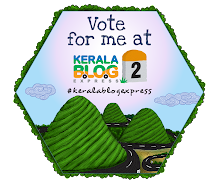 I decided to render inarticulate support as he shuffled through the pages. I silently observed him scrutinizing each and every word, his glistening eyeballs did bring in a sense of 'positivity'; but he never lost his composure. "I think we can move on to the next clue"- His cutting intonation broke my trance. "Good morning, Sir :D" - He guffawed. He was on the right track. 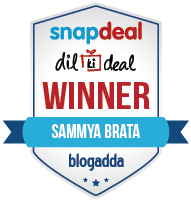 "I'm a huge fan of your candid photography"- He broached! "Impressive, very impressive"- I confessed, "Now that you are on course, let's not waste too much of time. I certainly had a hard time in relating this one with the first two clues". And I brought out the third & the last object out of my pocket. This was the ultimate milestone indeed, the climax as I'd say...Errr, it's transpiring into a dramatic ending isn't it! "Oh my! Eureka!! !...That's simply falling into the groove :D"- All of a sudden, he was ecstatic...he jumped out of his chair in 'triumph', waving to the 'imaginary crowd' after scoring a virtual century. "Sir!!!! It had to be a tea/coffee cup...it had to be! :D"- He exclaimed-"It had to be one of the acclaimed 'drinks' that completes the breakfast itinerary"- He continued. Bang On! 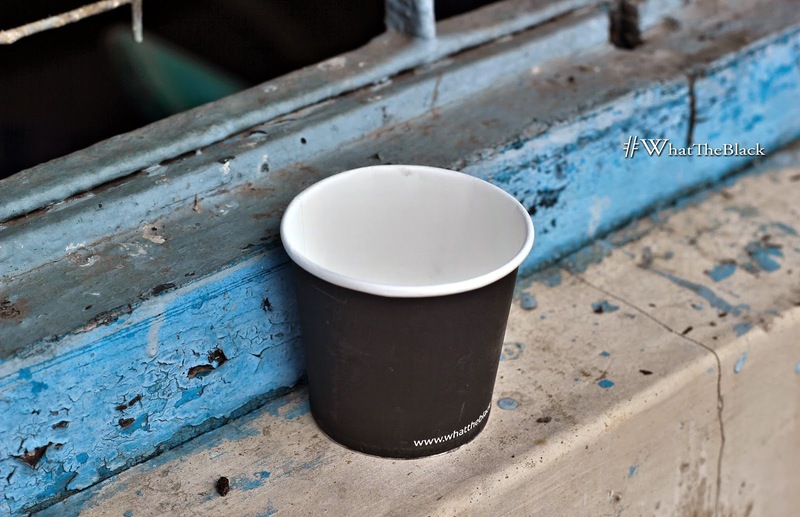 He had started conjecturing already...the third clue was indeed a black paper cup used to serve hot beverages and a black tissue paper. The first three clues certainly had a link to the 'first meal of the day'...the boiled egg, the newspaper and the paper cup (serving black tea/coffee) if combined together, forms an intrinsic aspect of the early-morning-praxis. Roger that.....? "Brilliant Watson!" - I could sense the possibility of the parallel lines meeting in a close proximity. "So, what's the verdict? Anything constructive derivation out of the 3 clues so far?" - I examined. "Umm...well, I have a couple of doubts to go with it: 1. Why are the originally white products draped in the colour black? 2. What's the relevance of having a chocolate core in an egg?" - He gurgled. "Haha! "- I interrupted..."Watson, are you missing on something very obvious? What is the first thing you do in the morning? "- I hinted. This was the first time that I couldn't resist myself....I obviously vomited out the solution. "EUREKA!!!" - He wailed "She laughs at everything you say. Why? Because she has fine teeth." - The famous quote by Benjamin Franklin. "It has to be an oral-care product- a black colored tooth brush or a tooth paste...to complete the chain, what an amazing elucidation"- He professed..." Excess chocolate consumption could result in cavities and coffee can lead to permanent yellowing stains on your teeth. In-fact, the calcium content in both the 'egg' and the teeth (or bones) is another common link. "- That sounded very convincing indeed. "And what about the newspaper? "- I wanted to seal all ends up before granting him the leave. "Sir, it's obvious...other than having a direct connection with the breakfast outline, it is linked with the spirit of articulation. A newspaper spreads awareness, touching every aspect of life...and it goes without saying that 'highlighting the dental hazards' does form an active component" - He sounded convincing yet again. His derivation was indeed commendable; however, he was not done yet. He silently picked up the What The Black Times from the couch and pointed towards a specific section towards the bottom of the first page. "Look here"- He indicated- "Read the line discretely-Content of this newspaper, unless categorized as "Editorial", is a work of fiction created by Candid Marketing Pvt. 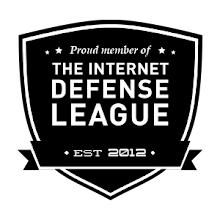 Ltd. for strictly promotional use. Ransack their website immediately :D"- He explained. "Yes. Watson...another big sparkling observation there! Candid has been associated with quite a number of big brands, promoting their signature products efficiently...I do sense another glorious collaboration here..." - I professed. "Are we thinking on the same lines, buddy?" -The quick-witted intern chuckled. We exchanged satiated glances. Indeed we were. "Yes my friend...you were right on the mark. Here's the revolutionary product that was delivered to my place on the fourth day. Take a look"- And I took out the 'black marvel' to show him. 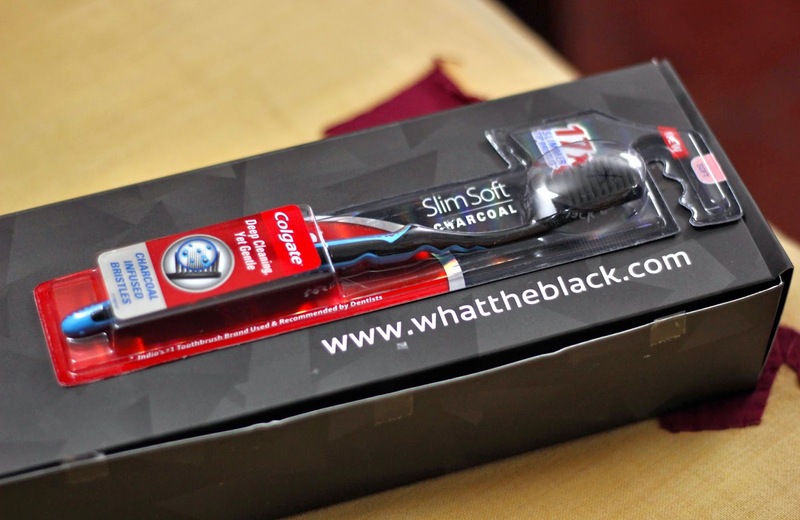 It was the all new Colgate Slim Soft Charcoal tooth-brush wrapped carefully in a velvety black box; the exciting new revelation by Colgate with charcoal infused 17X slimmer tip bristles that can reach deeper between teeth and along the gum line effortlessly, the charcoal bristles ensuring complete removal of plaque bacteria. It is indeed "one level up" in comparison to the counterparts ~ The Black Exultation. It's the true manifestation of the "opposites repel" doctrine...the dark bristles fighting against the dark forces of dental-annihilation. Please log on to www.whattheblack.com to know more about this newfangled oracle. 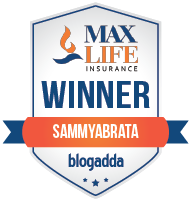 It promises to be your eternal dental insurance policy! 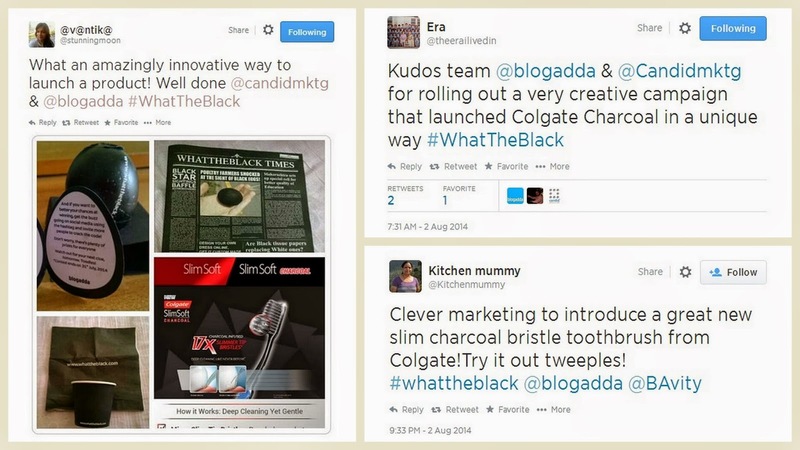 #WhatTheBlack Mystery: The final divulgement...'welcome to the amazing black revolution'..
#WhatTheBlack Mystery: The final divulgement...the all new Colgate SlimSoft Charcoal toothbrush..
#WhatTheBlack Mystery: The final divulgement..product launch: "Colgate Slim Soft Charcoal"
The social media reach & impact of the #WhatTheBlack campaign: Honestly speaking, this campaign is perhaps one of the most 'talked about' campaigns of recent times. 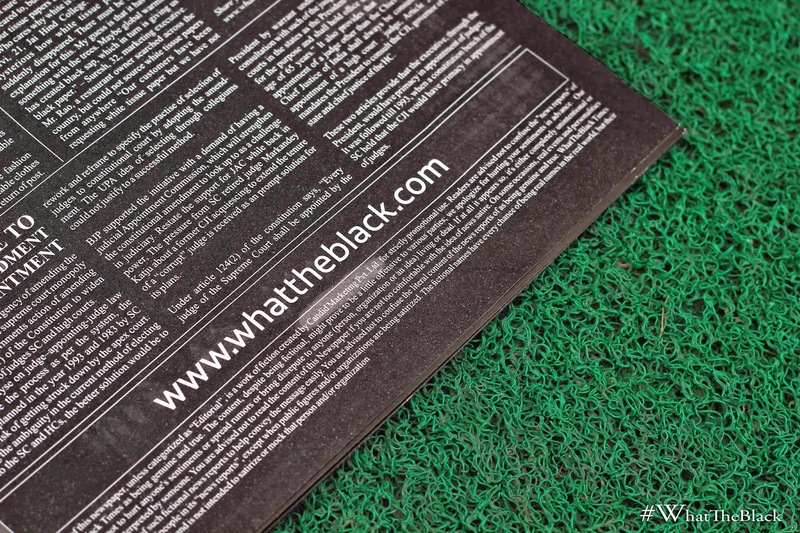 I have seen people stitching conversations & testing their predicting skills by tweeting out their thoughts with the hashtag #WhatTheBlack. Many of them, including me, did manage to decipher the mystery even before the last clue was released. The 'influence' has reached Facebook and instagram as well with the recipients posting images on all mediums, asking the friends and followers to predict the next item in line. Let's have a quick-look at the hashtag results and the 'impressions' that it managed to generate over the social media. 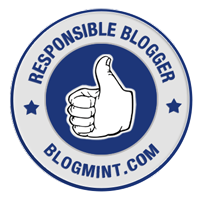 It has generated a staggering count of 3037 tweets that have been sent with the hashtag in the last 20 days or so, with an impression estimate of 131,761 in a day. It certainly is one of the most successful initiatives of recent times, it did enhance the 'interest level' of the consumers manifold....! 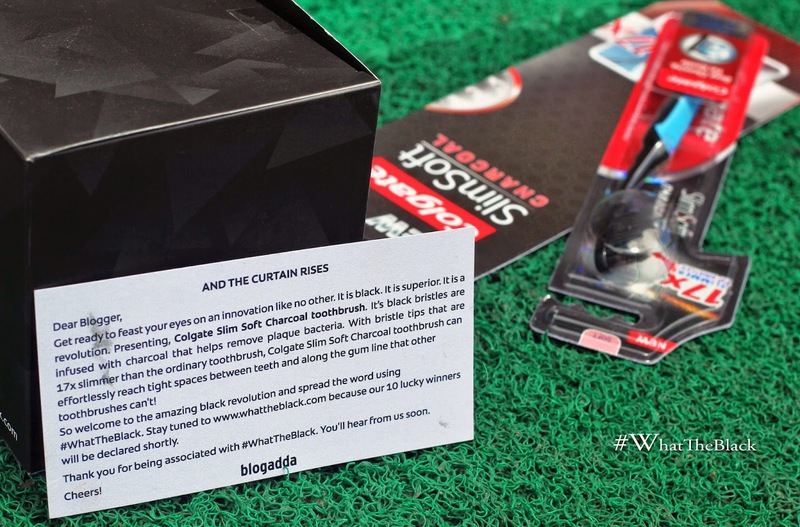 * Cheers to Blogadda.com for conducting such an innovative campaign, it was a real privilege to be associated with the #WhatTheBlack activity. 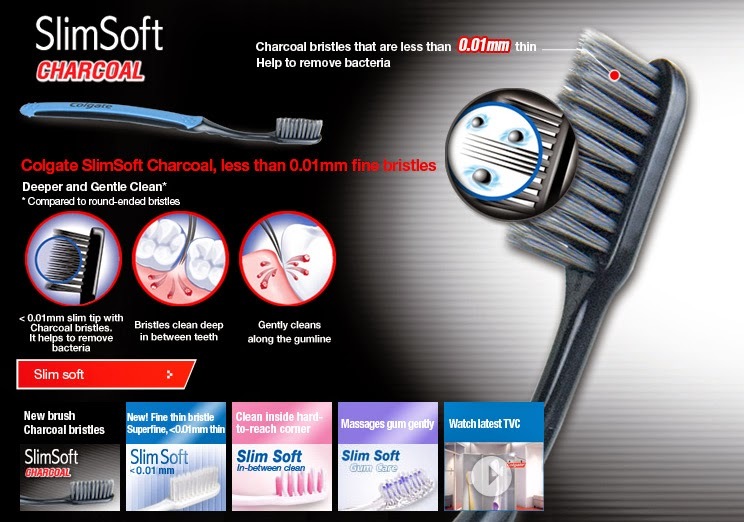 The product photographs have been self-clicked and analytic's drawn through third party websites.